J&W Car Rental , our proud partner of Drive.MY! J&W CAR RENTAL was first conceptualized and opened its door for business in 2005 as and alternative to the then existing car rental companies. We venture into this business because we know what is best for you. All of us at J&W CAR RENTAL invite you to come and experience just how great a car rental can be. 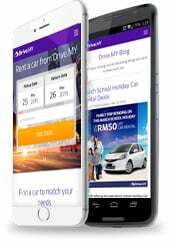 We are an independent car rental agency, licensed by the Ministry Of Tourism Malaysia, ( license num KPL/LN 4418) we have grown our outstanding reputation not through flashy advertising, but rather through superior customer satisfaction. We assure you an easy and hassle free car rental with no hidden cost, while working very hard to give you the best possible price. Rent with J&W CAR RENTAL today, we will welcome you with a very friendliest of hand shake and make your money worth the journey.